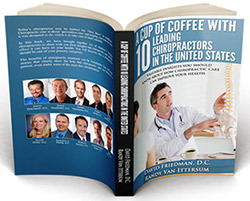 I was asked to co-author a book on chiropractic care and all the royalties go to Kiwanis. I am proud and excited to be part of this project. When you purchase a copy of the book all the royalties go to charity. We have reached best-seller status! All proceeds go to the Kiwanis Club to help children.